Are things in your home or office starting to heat up? Let us help you cool things down! Our specialty is providing friendly, fast and affordable ac repair service to Murfreesboro home and business owners. As soon as the weather starts to warm up, your ac decides it's had enough and shuts down. We know because we've seen it about 1,578,213 times before. You finally get home after a long day of work, you open your front door, and BAM! you're hit with a face full of hot sticky air. What the *&%*#$*? Don't stress, we've got you, call us at 615-617-5808, and we'll be on our way to save you. Our ac experts will troubleshoot your ac unit, and have it working as soon as possible. Our main focus is to leave you with a comfortable home. When your ac system isn’t working properly, it can make your life uncomfortable and the last thing you need is a service provider that you can’t trust. We only hire the best HVAC technicians so your home will always be in good hands. When repairing your ac unit our technicians will pay attention to every detail ensuring you the highest quality ac service at an affordable price. When it comes to HVAC we do it all. We specialize in repairing and installing all air conditioner makes and models. We also offer ac maintenance services. Our knowledge and experience provide your family or business with the promise that we will get the job done right the first time. The best way to avoid costly ac repairs is by keeping an eye out for some subtle signs that your ac unit is trying to tell you something isn't right. By being aware of these warning signs you may be able to head off costly damage to your HVAC system. First and foremost, we care about our customers and we hope you'll invite us to stay for dinner. Just kidding! Well, about staying for dinner, the rest is true. We are locally operated and we work hard every day to offer the best HVAC service in Murfreesboro and surrounding areas. Whether your ac unit is broken or your ac is blowing warm air, we are here to help. Our staff is professionally trained, prompt and courteous. We offer accurate and competitive pricing and we won’t do repairs that aren't required. Call Supreme Heat & Air Conditioning today at 615-617-5808, for all of your air conditioning repair needs. Don’t sweat it, we’ve got you! ​Do I need a New AC? Maybe. Maybe not. Have you had the same air conditioner for 10-15 years? If so, it's probably time to start thinking about replacing your ac. Most air conditioners last between 10 to 15 years. If you've had your unit for a while it would be a good idea to speak to one of our ac technicians about a new ac. The new ac models are smaller and more energy efficient. 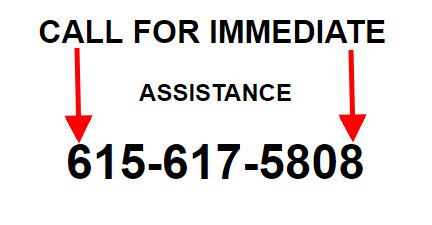 Please feel free to call us at Supreme Heat & Air Conditioning for your free, no-obligation estimate today. We can advise you on the right size ac unit for your home or office. Scheduled service is the key to extending the life of your air conditioner. Not having regularly scheduled maintenance on your air conditioning system means more wear and tear on the parts that experience said wear and tear, resulting in the higher probability of your air conditioner having a shorter lifespan, higher electric bills, and needing more repairs than an ac unit that has scheduled maintenance. Call Supreme Heat & Air Conditioning today at 615-617-5808, to ask about our maintenance plans. What does air conditioning maintenance include? 1) Condenser Coil Cleaning: this will reduce the wear and tear on your ac, and increase its efficiency. 2) Lubrication of all moving parts: this will help to eliminate wear due to friction. 3) Check Coolant levels: this will ensure that they are at the correct level. 4) Thermostat calibration: this will ensure your thermostat is operating properly. 5) Ductwork Inspection: this will uncover possible energy leaks. 6) Inspect Electrical Connections: this will ensure safe operation of your ac system. 7) Inspect Blower Belt: inspect the condition of the blower belt for wear and tear. 8) Inspect Blower Motor: this will ensure the blower motor is operating efficiently. These are just a few of the basic checks that our Murfreesboro HVAC professional will perform. We strongly recommend that you have your HVAC system serviced two times a year, ideally during spring and autumn seasons. Q: Why is it so important to replace my AC filters & How often should I replace them? A: It varies depending on your ac system manufacturer recommendations. If your ac system uses disposable filters, it's best to replace them per the ac manufactures recommendation. Some air conditioner filters are good for 30 days, some for as long as 90 days. Set an automatic reminder on your phones calendar, or go old school and write it down on a wall calendar. This way you won't forget. Honestly, it's the number one thing you can do to help your ac unit to operate efficiently. Q: How often should I have maintenance check-ups on my Air Conditioning System? A: As we stated above, you should have regularly scheduled maintenance completed twice a year on your HVAC system in Murfreesboro, TN. We recommend having a tune-up in the Spring, and again in the Fall. Regularly scheduling maintenance on your air conditioner will ensure that your ac will run efficiently all summer long, and by having your heat system serviced in the Fall, you'll be assured a cozy winter. Scheduling maintenance on your heating & air conditioning system addresses any potential issues before they can progress to a potentially costly repair. Q: Is there anything I can DIY before calling an HVAC Technician? Q: How do I know if my air conditioner is working properly? ​A: Are strange noises coming from your ac unit? Is your ac is blowing warm air? If your ac isn't cooling, or you notice your electric bill outta control, you'll want to call Supreme Heat & Air Conditioning. We'll come check it out to figure out what's going on. Call us today at 615-617-5808, for all of your ac repair near me needs.